Dr. Rajen Cooppan is Nikki and Leah’s mentor in Ayurvedic medicine. In 1999 Dr Rajen Cooppan held a lecture on Ayurveda at Murdoch University. His warmth and passion for Ayurveda inspired Nikki and Leah, who went on to undertake his Foundation Training in Clinical Ayurveda (F.T.C.A) studies the following year. Dr Cooppan (M.B., Ch.B, M.D., Dip. Ayu.) is a medical doctor, who following his medical training in clinical medicine and medical research, went on to specialise in Ayurvedic medicine. He is the medical director of the centre for Mind-Body Health in South Africa and founding president of the South African Ayurvedic Medical Association. 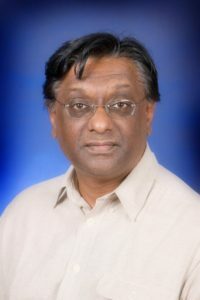 He developed and taught the training course in Ayurvedic medicine for allopathic doctors in South Africa and Australia. Dr Cooppan’s simple and practical approach to Ayurveda, coupled with his extensive medical knowledge was infused with the essence of love and compassion, that lies at the heart of this mode of healing.